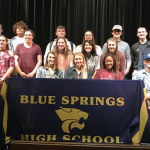 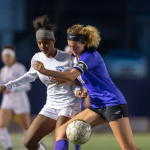 The Varsity Girls Soccer Team had a close loss to one of the top girl’s soccer programs in the state, Tuesday evening. The Wildcats fell to Lee’s Summit North 2-1. 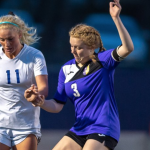 The cats were led by Aubrey Avalos, who scored the team’s lone goal. The Girls Soccer Team continues their season this Friday at Park Hill. 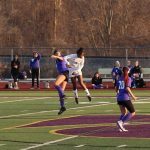 The Girls Varsity Soccer Team picked up another victory, Monday evening. 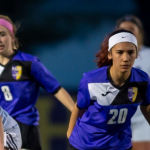 The Wildcats defeated Oak Grove 2-0 behind goals from Abigail Grisolano and Brooklyn Watkins. 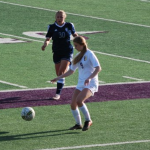 The Girls Soccer Team improved their record to 3-7 after the victory. 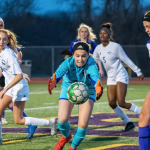 The Girls Soccer Team continues their season this evening (Tuesday, 4/9) at home against Lee’s Summit North. 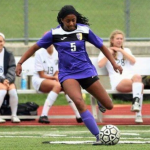 Girls Varsity Soccer · Mar 21 Cats move to 2-1-0 with a win against Platte County.